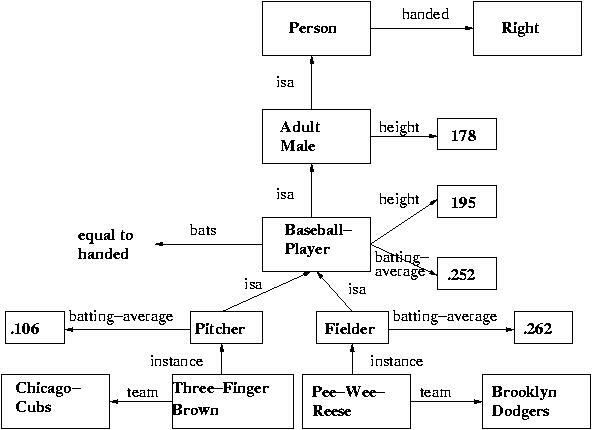 Assume the following examples, where a decision tree for the goal "feel_good" is to be learned over the attributes "hungry", "tired", "thirsty". The table below lists a sample of variables that can be used to predict the decision to play tennis in form of a yes/no decision. Show in detail how the conditional probabilities that the humidity is normal will be determined, assuming that the agent plays tennis P( Humidity = Normal | PlayTennis = Yes), and that the humidity is normal assuming that the agent will not play tennis, i.e., P( Humidity = Normal | PlayTennis = No). Describe a representation that could be used in a program to solve analogy problems like that below. This class of problems was addressed by T. G. Evans (1968, see Luger-Stubblefield, p.337). The representation must be sufficiently rich to represent the essential features of size, shape, and relative position which are necessary for solving the problem. The URL of this page is http://www.cs.bham.ac.uk/~mmk/Teaching/AI/Teaching/AI/e12.html.